"Who Owns the Oil that Traverses a Boundary on the Continental Shelf in an Enclosed Sea? 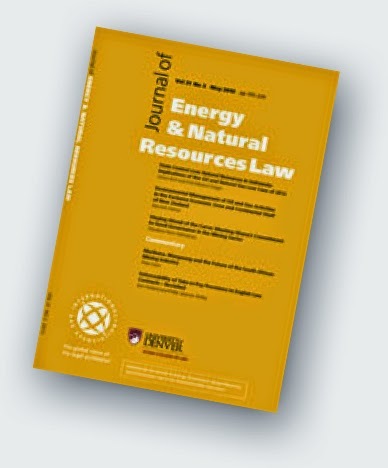 Seeking Answers in Natural Law through Grotius and Selden"
Abstract: The principle of sovereign rights under UNCLOS countenances competition among littoral states for ownership of a common oil deposit through the unilateral exploitation of their continental shelf. This leads to conflict, wastage, and resource sterilization. However, rather than apply the principle of sovereign rights, states seem to turn to natural law principles as a more reasonable regulation of their activities on the continental shelf. Two sources of natural law principles are relevant. One source consists of a priori principles of sociableness and necessity which prescribe that, for their own preservation, states ought to act pursuant to the common good. These principles underlie energy security policies which espouse interdependence. Another source of natural law principles are international agreements and national laws in which states temper their sovereign rights and interests and recognize the co-existence of the rights and interests of other states in a common deposit. 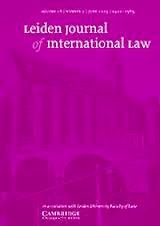 These practices constitute a posteriori intervenient or secondary law of nations, which appears similar to customary law. Adherence is not dictated by conviction that these principles are obligatory. Rather, adherence seems to be based on discernment that, while permissible under the principle of sovereign rights, unilateral appropriation is impermissible under natural law. Click here to read the full article. "Is the Rule of Capture Countenanced in the South China Sea? The Policy and Practice of China, the Philippines and Vietnam"
Abstract: This article examines the petroleum regimes of China, the Philippines and Vietnam to ascertain whether they countenance the rule of capture in the South China Sea. It concludes that the policy and practice of Vietnam clearly and absolutely do not countenance the application of the rule of capture in regard to potential or actual transboundary petroleum deposits in the South China Sea. On the other hand, China has maintained a 1996 secrecy regulation, which authorises China National Offshore Oil Corporation (CNOOC) to undertake unilateral activities involving transboundary deposits in disputed areas of the South China Sea. At the same time, China has adopted bilateral declarations and agreements that preclude the application of the rule of capture in both delimited and undelimited areas of the South China Sea. As for Philippine policy and practice, there is ambivalence towards the potential or actual presence of transboundary deposits. Melissa H Loja is a PhD candidate supervised by Dr. James Fry.